Since 1948, Trackmobile has provided the reliability and performance that companies reliant on material handling through rail shipments have counted on to cost effectively manage railcar movement. Trackmobile provides a complete solution to agile railcar movement along sidings, ports, transload locations, industrial plants, railway yards and anywhere delivery of railcar material is required. Designed to meet specific needs handling all types of railcars between industrial operations and the rail shippers that deliver them, the Trackmobile prototype was first built in 1948. After successfully proving its reliability, efficiency, and total cost of ownership to be far below switching engines, Trackmobile gained national attention and spread across America in the early 1950’s. 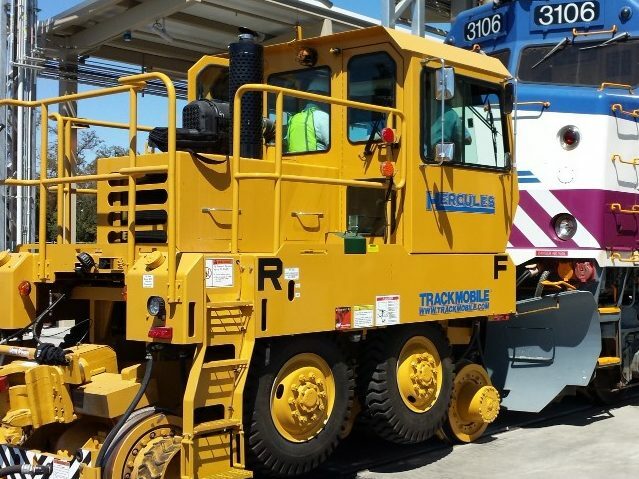 Since then, Trackmobile continues to lead the way with dependable, efficient equipment that provides the lowest operational costs, unparalleled reliability, increased personal safety, reduced maintenance and the most user friendly operational controls in the industry. With more than 11,000 units sold in over 60 countries, our longevity not only provides a deep rooted knowledge of the industry, but also enables Trackmobile to provide the best sales and service in the industry. Our dealer network is comprised of the industry’s largest and most experienced railcar mover sales and service network in the industry. Many of our distributors have been with us since the 1950’s and have grown right alongside us, ensuring that Trackmobile owners receive the highest quality products and service. As the market and technology have changed, so has Trackmobile. With patented automatic weight transfer and traction control systems, the industry’s first and only Joystick and armrest-controlled operating system, ergonomic cabin environment, patent pending 360-degree visibility cameras with railing guides to enhance railyard visibility for safety, and environmentally friendly EPA Tier 3 and Tier 4 engines, Trackmobile remains ahead of the curve in railcar movement. Trackmobile monitors best in class innovations while listening to our customer’s needs. This enables us to deliver what matters most, equipment that works when and how it’s needed. See our latest innovations here. We understand that customer satisfaction is the key to any successful business operation. We know that complications, delays, and unforeseen emergency needs can arise in any industrial operational environment. 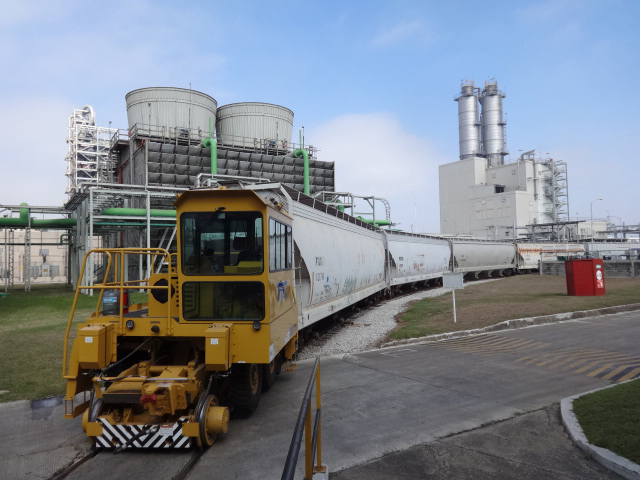 To ensure success, you need high quality equipment from an innovative manufacturer that is known for its extensive experience designing railcar switching machines that work in the most demanding conditions. That is why everything we do at Trackmobile is geared toward ensuring reliable, on time customer railcar movement. Let our customers tell you what Trackmobiles do for their operations.